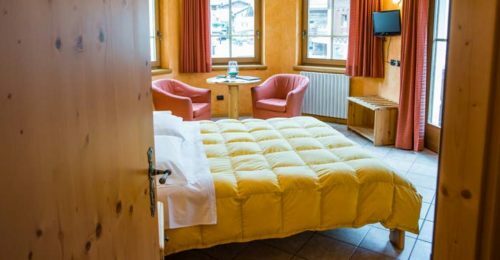 For over 50 years the family Claoti welcomes you and conquer you with its family atmosphere for a pleasant stay in this lovely hotel in the center of Livigno. Located in the Plan, in front of the "Ski School Centrale" is very easy to get to and from the slopes on foot or dedicate the whole day browsing the many shopping at duty free shops in tranquility in ZTL. 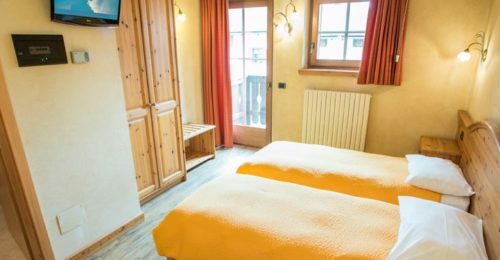 Offering a variety of rooms furnished in Alpine style spacious, bright and curious with balcony, all with private bathroom with shower and hairdryer, satellite TV, safe and free Wi-Fi. 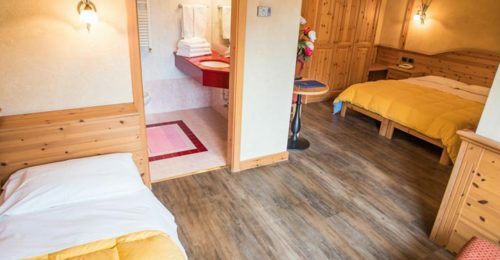 It also offers a pleasant relaxation room fully-wooden "Stube", ski and boot room, outdoor private parking for free or garage, car, bike and motorbike and summer availability of bicycles for free use. Comfortable and hospitable triple rooms, ideal for families, with bright windows and balcony to enjoy the view of the landscape. Hotel with restaurant and pizzeria with wood oven where you can taste the best local and international cuisine, accompanied by fine wines. After an enjoyable day on the slopes, treat yourself to a little relaxation in our Wellness Center letting yourself be pampered by the warm embrace of the Finnish sauna, or enveloped by a cloud of steam turkish bath essences. Then do not miss the hot tub where you soak, relaxing and regenerating for a welfare never heard before. Our wellness area will fascinate you!